Here is an add-in that will rename the objects in your model based on values in a table. The first time you run the add-in, it will create a table called "Object Name Change". 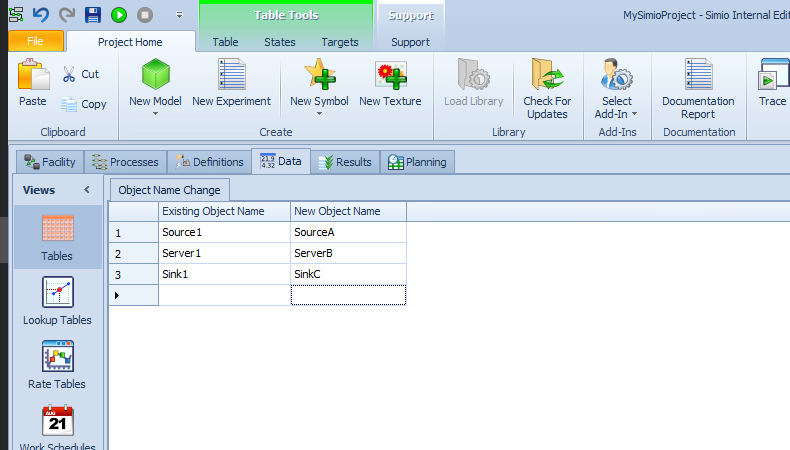 The uses will add the existing object name(s) and the new object name(s). 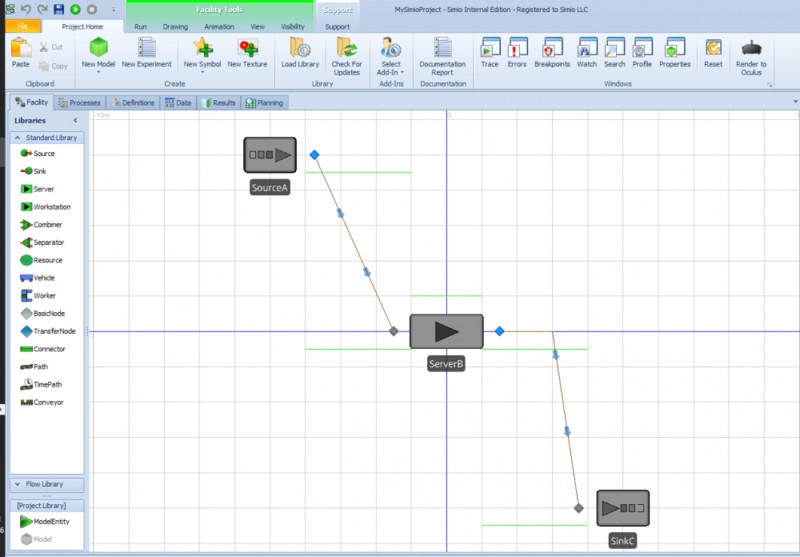 Once done, run the add-in again and the object names will be changed in the model. To install, download the "RenameObjectsDLL.zip". Extract the "RenameObject.dll". Right click DLL and select Properties and then Unblock. Then, copy DLL into "C:\Users\\Documents\SimioUserExtensions". You might need to add the SimioUserExtensions folder under MyDocuments (C:\Users\\Documents) if it does not already exist. I tried using this Add-in to change the names of 533 Nodes in my network. After I filled the table and re-ran the add-in again a notification come up stating that "Number of objects updated = 533"; however, when I looked in the facility view the node names did not change. Is there some other way for me to use this add-in to quickly change the names of 500+ nodes?